Biofuel has confidently taken its place among renewable energy sources along with the sun and wind due to the latest technical breakthroughs. The use of biofuels helps solve the global issue of scarcity of energy resources. When ecology is concerned, there is simply no alternative to wood pellets (fuel pellets), and none is likely to appear in the near future. Pellets are the basic and most effective ecological type of fuel. The pellets, manufactured and supplied by our company, correspond to all international standards. 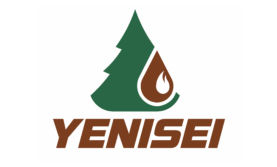 Thanks to full-cycle pellet production and a developed freight service, Yenisei offers its customers the most favorable conditions for wholesale deliveries. The cost of pellets, given their calorific value, is very low and beyond competition with other types of fuel, which are constantly becoming more expensive. For this reason, fuel pellets are considered one of the best type of alternative fuel.